Enter for a Chance to Win a Ticket to Super Saturday! I am excited to share that New York’s exclusive Super Saturday will be coming to Los Angeles for the first time on Saturday May 17! 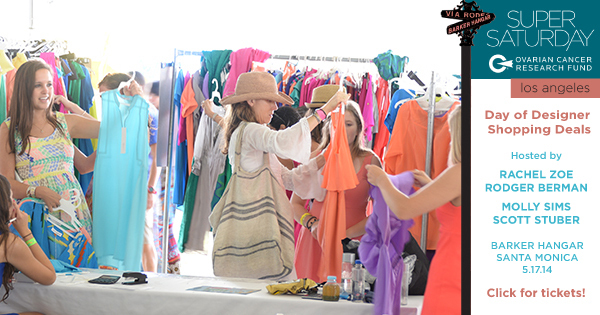 The charity shopping event, benefiting Ovarian Cancer Research Fund, will be hosted by Rachel Zoe and Molly Simms! This entry was posted in Deliciously Chic Contest, Events and tagged OCF, rachel Zoe, Super Saturday on April 25, 2014 by Hillary.